The Majestic Yosemite Hotel stands tall and proud beside the towering mountains of Yosemite National Park. 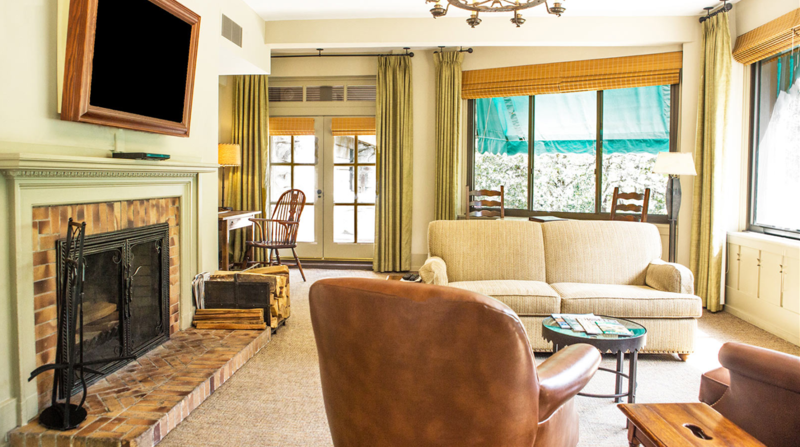 This hotel, which opened in 1927, is a taste of rustic luxury. 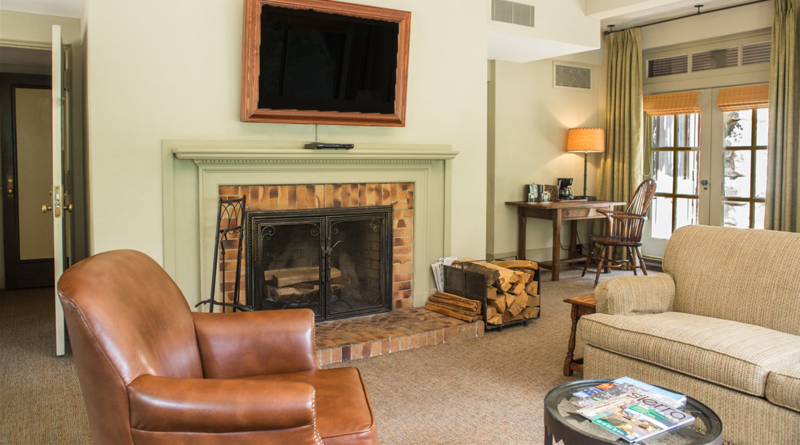 It's amazing stonework, outstanding craftsmanship and grand wood beams in the interior make this one of the best park hotels in the country. Yosemite Park is a perfect destination for kids and adults, as there's a variety of things to do, and The Majestic is the perfect base camp for that adventure. The best option for getting to the hotel is renting a car from the coast, then driving 4 hours. There are trains and buses that will take you to the hotel but it's a little bit more involved than renting a car. Plus, when you get to the resort you'll have the car for the week that you can explore the National Park. 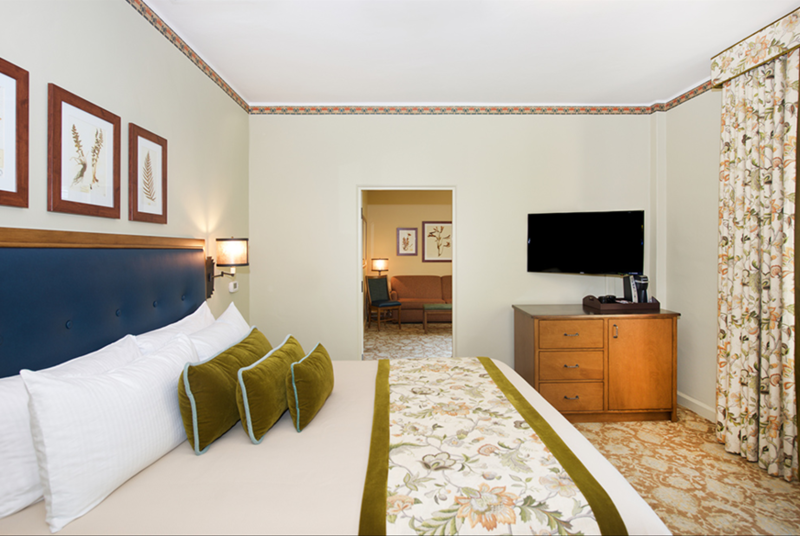 At the Majestic, you can chose from a few different room classes, which are: Hotel Rooms, Junior Suites, Hotel Parlors and Cottages. Standard Hotel Room: These rooms are located near the rear of the hotel and have limited views. 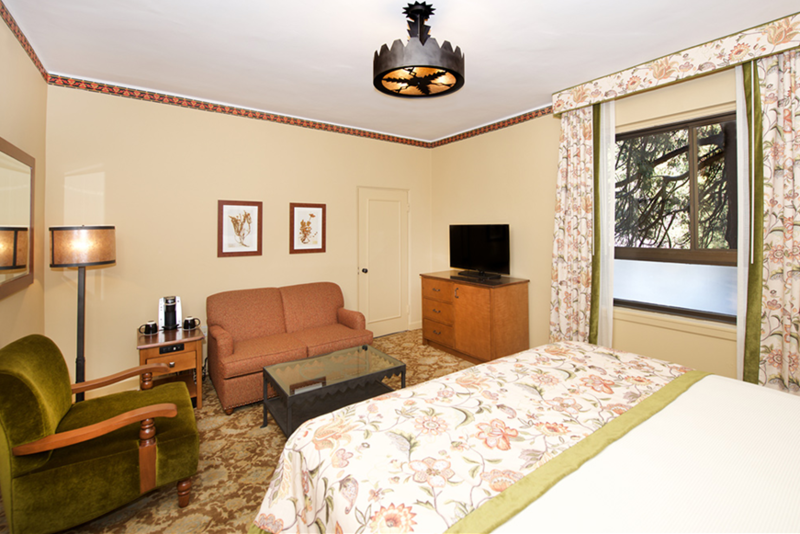 This option provides a great budget option for those who will enjoy the hotel grounds and the park. 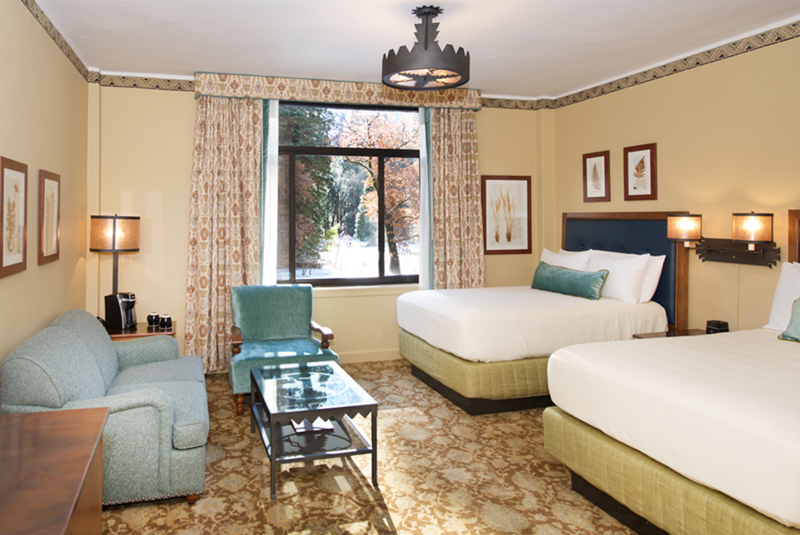 Classic Hotel Room: Provides views of Glacier Point, Half Dome, or Yosemite Falls. Featured Hotel Rooms: Offers amazing views of the cliffs and waterfalls. The rooms have a shared balcony where you can enjoy the views. 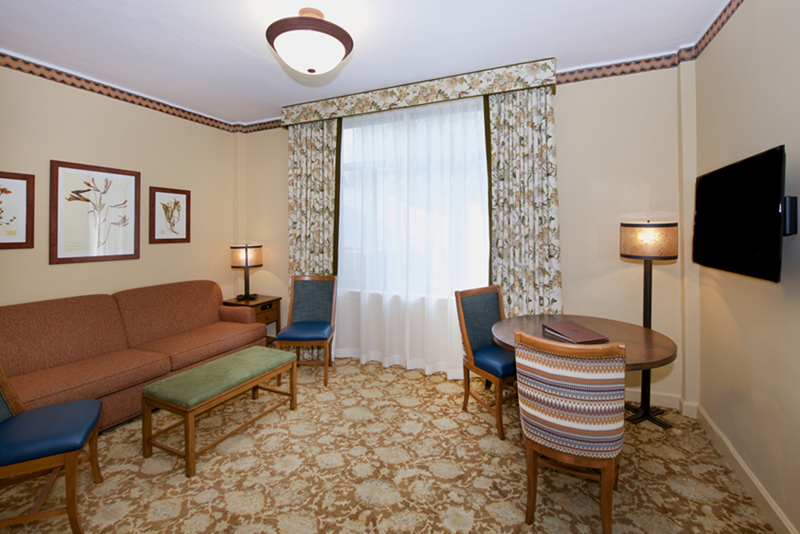 The next room class is the junior suites. 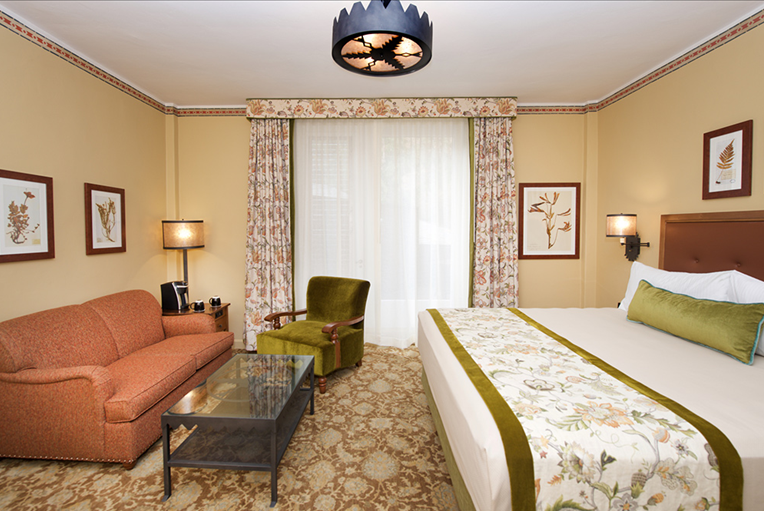 The El Dorado Diggins Suite is a spacious room with a king bed and a sunken living space. 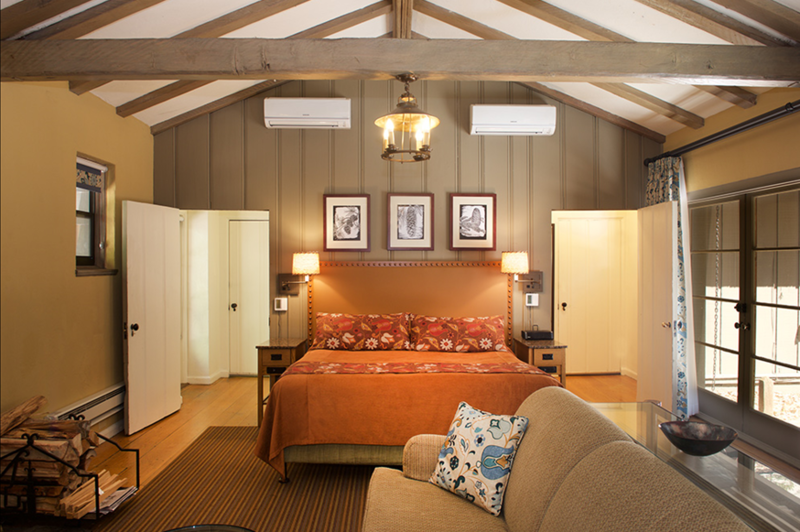 The Mary Curry Tresidder Suite has a 4 poster bed and a grand bathroom. 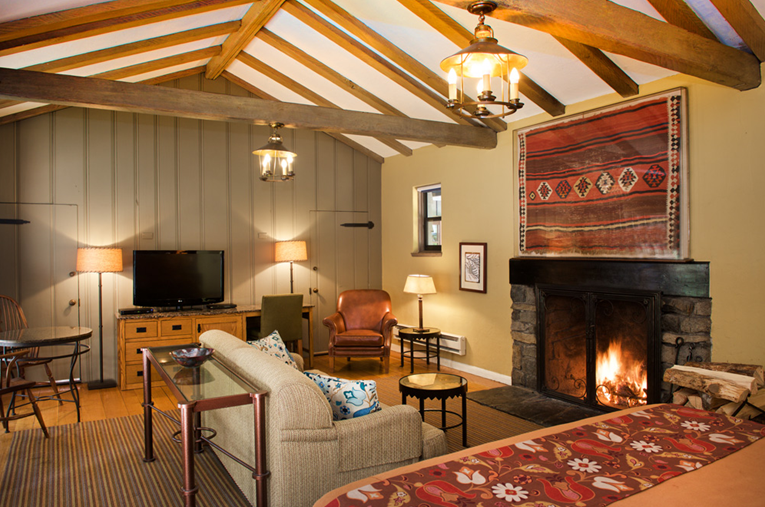 If you stay in this room, you’ll be in good company as Queen Elizabeth stayed here during her trip to Yosemite in the 1980’s. The Hotel Parlors provide even more space at the hotel, and the cottages (offered in the same 3 categories as the Hotel Rooms) provides the most space on the property. The dining at the Majestic Yosemite is a spectacular setting for any meal, as they serve breakfast, lunch and dinner. The dining room’s 34 foot high ceiling is sure to impress, as will the large windows offering views of the grounds. The restaurant serves classic American fare. Visiting Yosemite opens a world of activities. At the resort, you can take a dip in the pool. It’s open from Memorial day to Labor Day each year. If you would prefer swim in a river in the park, the Merced River swimming area has a soft, sandy beach to take a dip. This is a favorite for families. Either place would be a great option to cool off after a day or hiking. Speaking of hiking, though you can explore the grounds around the hotel, the park has some of the best hiking and natural sights in the country. You can hike in places like half dome and El Capitan. If you would like to explore the park by bike, yo can rent a bike for $34 per day. If you’ve got some dare devils in your group, there’s some good options in the park. You can try out rock climbing. You can start by climbing and repelling at heights of 60 feet. For those more advanced, you can do crack climbing and learn anchoring techniques. You can go horse back riding ($67 for a 2 hour trip), raft down Merced River with El Capitan in the background, go fishing in one of the many waterways, play a game of tennis or a round of golf.